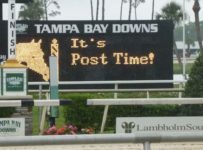 Tampa Bay Downs has a ten-race card today with first post of 12:42 p.m.
Gulfstream Park has a nine-race card with first post of 12:55 p.m. Conditions are fast and firm at each track. 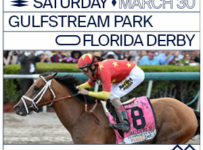 According to the Weather Channel there is a zero percent chance of rain this afternoon in and around Oldsmar, where Tampa Bay Downs is located, and just a 20 percent chance of rain in and around Hallandale Beach, where Gulfstream is located. 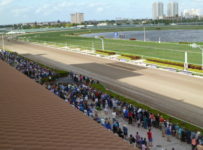 At Tampa Bay in Saturday’s ninth and final race there were no tickets with the correct order of finish in the Super High 5. 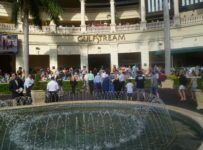 Thus there will be a carryover of $4,429 on that bet in today’s first race. 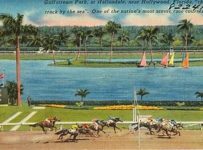 The first race is a $5,000 claimer at one mile and 40 yards on dirt for fillies and mares 4-YO and up. It has seven entrants. There are no consolation payoffs on the Super High 5. 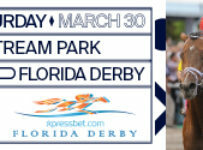 If no tickets have the first five finishers in order, the entire pool is carried over until the next race with seven or more entrants. 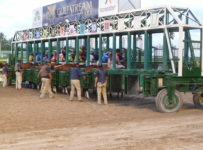 There will be a carryover today of $13,192 on the Rainbow 6, on the fourth through ninth races. 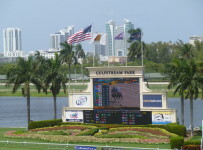 That will follow two very unusual days on the 20-cent per combination only bet that requires picking the winners in each of the last six races. 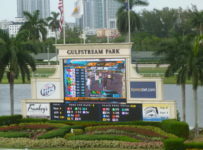 On Saturday at Gulfstream, there were no tickets with the winners in all six races in the Rainbow 6. 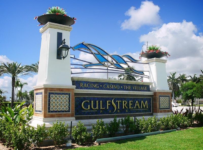 Thus, Gulfstream made a consolation payoff of $1,026.02 to each ticket with five winners. 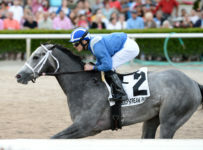 Numerous tickets were knocked out when Titanium Heart at 35-1 won the seventh race. On Friday there was a one-ticket jackpot winner, and it paid $618,643.20. 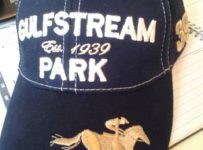 As of Saturday afternoon Gulfstream had not obtained the identity of the holder of the ticket, which was bought in the Dutch Caribbean island of Curacao. 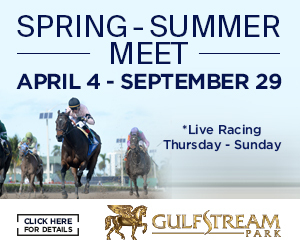 Today’s feature race is a $25,000 allowance/optional claimer at 1 1/16 miles on turf for fillies and mares 3-years-old and up. There is a $43,000 purse. 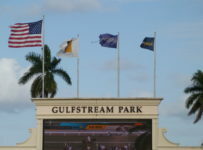 We will have coverage of that race and of other Gulfstream and Tampa Bay races this afternoon on our blog.